Open hatches, absent owners and expensive electronics make your boat tempting to thieves. Purchasing marine security cameras is a practical precaution you can take to protect your boats. And statistics showed a total of 5,116 U.S. watercrafts were stolen in 2016. Besides ensuring vessel safety, boat security cameras can also monitor the engine room at all times and provide you with a good view of people working on dock, machinery and stowed equipment. And you can mount security cameras for marina on the bow pulpit to help with maneuvering/docking in crowded harbors. Want something thrilling? Use the marine security cameras as action sports cameras to film your windsurfing or sailing adventures. And please feel free to share your experience with us if you have tried this! To help you find the right boat security cameras with minimal efforts, here is a list of top 9 things you need to consider when buying marine security systems. While shopping for boat security camera systems or sports cameras, you must hope to find rugged and solid marine security cameras with long lifecycles from a wide range of choices. So how to narrow down the searching scope in an efficient way remains to be a problem. One feasible method is to focus on the brands that own a massive user base and enjoy high reputation in the industry, such as Reolink. Besides, users’ reviews can serve as an important reference standard for you to evaluate the quality and reliability of certain marine camera system. 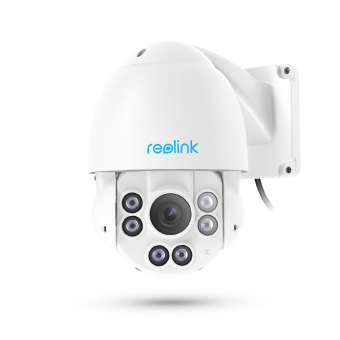 Taking Reolink security cameras for example, you can refer to the video samples uploaded by real users in each of the product page to see if the cameras provide good quality feed. Below is a high-quality docking video recorded by a user of Reolink wireless security camera system. Editor’s Tip: Though a decent price matters, never compromise the quality of your boat camera systems for the sake of petty profit. Want to install a boat security camera but have no Internet available in your boats, yachts, vessels or around the marina/dock? Here are 4 solutions for your reference if you want to use security cameras for boats without network. Solution 1: The marine security cameras that use cellular data are designed to solve the “No Internet” dilemma. They allow you to monitor your boats or dock remotely from anywhere even without WiFi and power source. Solution 2: Another reliable way to monitor your boat without Internet is to buy a marine security system, which are packed with several marine cameras and one NVR for video storage. As long as the marine camera system is power on, it will start continuous recording even without Internet. *Video streaming and instant alerts of marine video cameras require Internet connection. Solution 3: In case that a marine security system might exceed your budget, get a wireless boat security camera with memory card (slot), like Reolink Argus 2, to store the motion events onboard. And you can regularly check the footage to keep informed of what happened without your conscious. Solution 4: Buy a cheap smart phone to make a personal hotspot for the marine security cameras to work. Theoretically speaking, this method shall do the trick. But note that it may consume much power and data of your mobile phones. Once your phones are out of power, the marine video cameras will fail to send instant alerts and stream live feed. With declined traffic volume at dark by the marina, perpetrators or vandals may commit crimes at night so as not to be easily observed by passersby. So choosing high quality marine night vision/infrared security cameras is essential to protect your assets. The 1440p and 1080p boat security cameras generally offer you much clearer images/videos at night than 720p cameras, (Check the differences among 1440p, 1080p and 720p security cameras.) as the image quality of night vision cameras for marina or marine infrared cameras improves with higher resolutions. On top of that, the night vision range of boat security cameras also matters if you want to identify some details, say the human faces or license plate numbers, from a distance of 30 meters. In event that you unfortunately fall victim to an act of vandalism, theft, natural disaster or trespassing, the videos captured by marine video cameras are the most convincing evidence to the law enforcement officials and insurance providers (most insurers would demand proofs before they are willing to pay for a claim). 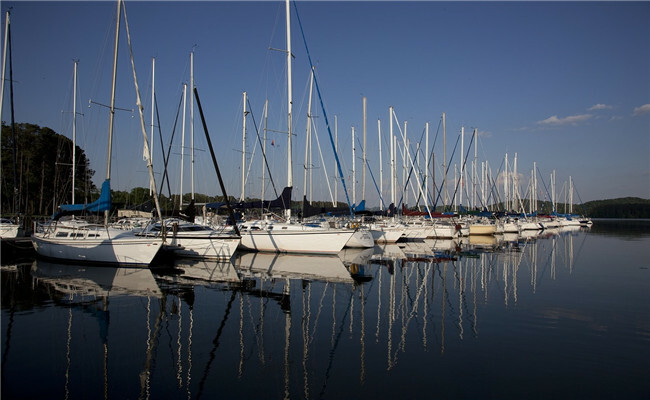 Unless you live near the marina, it is almost impractical for you to check your boat security every day. An even worse scenario is that before you arrive, the burglary has already occurred. Luckily, the marine grade security cameras make remote access and live streaming at your disposal. You can keep track of your boat from the comfort of your home or office as long as the boat security cameras are connected to your phones or computers via Internet. Watch the video below to see how the Reolink user watches the live feed of his security camera system for marine easily on his iPad. If you want to monitor a large area of the marina, the viewing angles of marine IP cameras should be one of your major concerns. From the perspective of economy, the best resolution is that you can monitor as much area as possible with a single boat security camera. Now many boat security cameras come with the PTZ feature, which enables you to see almost every corner of the monitoring area. Reolink RLC-423 is the typical example with PTZ function, offering you a wide viewing angle (shown as below). If one marine security camera cannot cover the whole surveillance areas as you expect, you can either purchase multiple boat security cameras or a boat security system in compliance with your specific needs. Bonus: Read this post to learn how to select marine surveillance camera lens to obtain the viewing range you desire. As marine security cameras become increasingly prevalent among the public, various types of marine camera systems have emerged with the aim to cater to different users’ needs. Before your purchase, have you figured out what kind of boat camera systems suits you best in your circumstance? Wired VS Wireless: Wired marine security cameras boast stable signals and no inference from other devices. If the WiFi signal in the surveillance zone is weak due to the blockings from the camera to the router and you don’t mind running wires on your boat, choose the DIY PoE security cameras for boats which are easier to install than traditional wired ones. Since wires running on a boat are difficult and expensive to install and subject to corrosion, wireless boat security systems offer you an alternative without the need to run wires. Or if you have the requirement to move the cameras to different positions, wireless marine security cameras can absolutely serve you fine. Indoor VS Outdoor: Your marine security cameras should possess the capability to withstand the elements, since your boats will be placed out in nature and on the water. So the outdoor weatherproof boat security cameras would your top choices given the rough marine conditions. And the vandal-proof boat dock security cameras are recommended if you want to protect your cameras from possible vandalism. Some wireless marine security cameras are also featured with accurate motion detection and real-time alerts, like the Reolink Argus® 2. Its PIR motion sensor is highly sensitive to human movements and can reduce the false alarms caused by wind blowing or other subtle movements around the marina. The second a warm body enters the secured area, the camera will be waked up instantly to record and send alarms. Once you receive alerts from your boat security cameras, you can notify the harbor patrol, dockmasters, a commercial boat service or a designated friend or to take appropriate actions within the shortest time to mitigate your losses. The recorded videos of wireless boat security cameras can act as a back up to be reviewed later and some marine security camera systems offer you multiple options for video recording. Marine security cameras with built-in SD card (slot) can store the motion detection videos locally in the memory card. You can play back the videos on your smartphone or regularly take out the SD card and backup important files to your computer. In case that you have to leave your boats at the marina for long periods or prefer 24/7 recording and monitoring, a marine camera system will ensure that you won’t miss a single detail happening on your boat throughout the day. Currently there are mainly two ways of power supply for marine security cameras. One is plugged in and the other is battery-powered (some are also solar powered). The rechargeable battery-powered boat dock security cameras, like Reolink Argus® 2, can be placed or moved anywhere in your boat or around the marina as you wish. 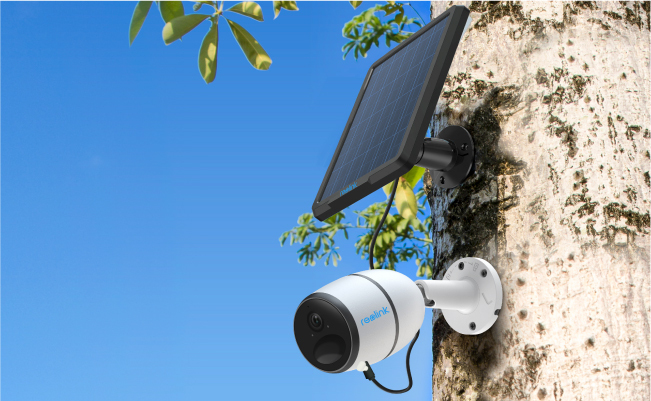 The batteries normally can last up to months’ standby time and you can also add the optional Reolink solar panel to provide non-stop power for the camera. You also don’t have to worry the marine IP cameras being shut off in case of unexpected power failure by perpetrators. 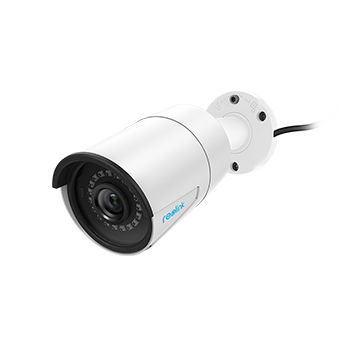 The marine grade security cameras with plugged-in power, such as Reolink RLC-410, allow you to watch live viewing as long as you like without the need to preserve battery life. And the plugged-in marine video cameras can also work with an NVR to monitor your boats 24/7 nonstop. As with your boats and other valuables, your outdoor boat security cameras and systems also need protection to fight against the harsh sea conditions. Follow the practical tips below to secure your marine security cameras and extend their lifespan. 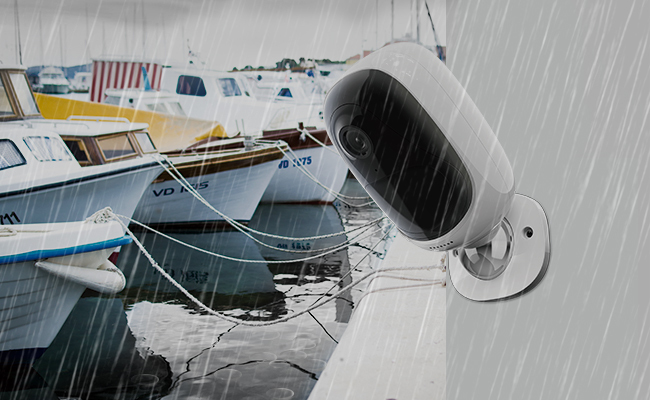 Choose the weather-resistant marine grade security cameras (at least IP65 certified) and add protective skins or casings for them to maintain the best performance. Don’t install your marine security systems to a mental structure to protect them from lightning (see more useful ways). Mount your marine video cameras in low-profile places and beyond easy reach to reduce the theft or vandalism risks. Regularly check the cables and connectors of your security cameras for boats to ensure they are also in good shape. Takeaway: Click here to learn more helpful tips to protect your boat security camera systems from thefts, spider webs, weather extremes, etc. It can be easy to find the right marine security cameras with above factors keeping in mind. Just make sure you choose a boat security camera that is made for the marine environment. Proper position of your marine camera system is also significant to ensure all of your valuables and expensive items are monitored around the clock. Got any questions about the boat security cameras? Please feel free to comment below and we’ll help solve your problems ASAP. This entry was posted in Buyer's Guide and tagged boat dock cameras, marine cameras. 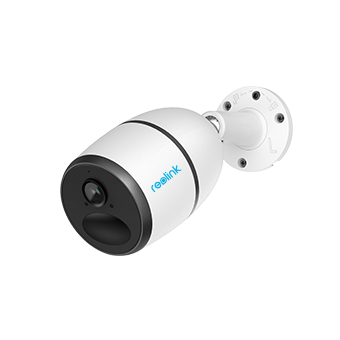 Hi, there, the 5MP WiFi security camera Reolink RLC-423WS will be your ideal option. It boasts 360° pan, 90° tilt and 4X optical zoom, enabling wide viewing angle (33°~98°). It also comes with a built-in SD card and you can access the camera footage with free Reolink App on your phone, /product/rlc-423ws/. Hope this would help. Jenny thank you. what about marine grade since it will be on a boat. and can you suggest a lees conspicuous camera . Hi, there, what about this wide angle WiFi security camera Reolink RLC-422W, /product/rlc-422w/. In virtue of the dome shape, this boat security camera will be less conspicuous. Also, it is featured with IP66 waterproof and IK10 vandal-proof, so this marine-grade IP camera is capable to brave all the elements on a boat as well as the external damages.